“I got them all to talk,” said Joe Smith, a former Boston disc jockey. LOS ANGELES — Some 3,000 miles away from the hardscrabble streets of his native Chelsea, Joe Smith stood next to his living room stereo in Beverly Hills and thumbed through a row of CDs. 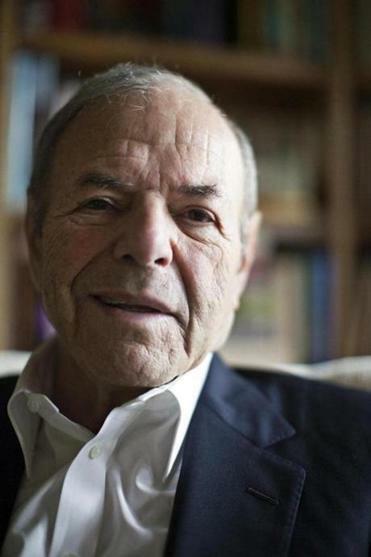 Smith, a former Boston disc jockey who went on to lead Warner Bros., Elektra/Asylum, and Capitol/EMI, was responsible for signing the likes of the Grateful Dead, Jimi Hendrix, Van Morrison, Garth Brooks, and the Eagles. But one of his biggest projects occurred outside of the studio in the mid-1980s. Smith wanted to know more intimate details of the artists’ lives and spent two years recording over 200 hours of interviews with over 200 rock and jazz luminaries for a book he wrote 25 years ago. Earlier this year, Smith donated the tapes to the Library of Congress, and on Nov. 28, the library will post the first 25 hours of Smith’s interviews on its website. The initial batch of interviews features 24 artists, including Paul McCartney, George Harrison, Mick Jagger, Ray Charles, Steven Tyler and Joe Perry of Aerosmith, and David Bowie. Eventually, more than 230 hours will be available on the site for historians, music buffs, and anyone else who may be curious about popular music in the 20th century. Smith’s interview cassettes sat in a bunch of boxes in his garage until earlier this year. That’s when former Grateful Dead drummer Mickey Hart called up Smith and suggested he donate the tapes to the national library. Smith agreed and sent the tapes to Washington, where the library quickly digitized the treasure trove of voices. Hart, who credited Smith with nurturing the Grateful Dead during the band’s early years, said he was aware of the collection and didn’t want the tapes to decompose. “We were just talking and I just realized that these things, you know, this history would be lost,” said Hart. James Taylor, who lives in Western Massachusetts, also praised the donation. Smith signed Taylor in 1969 just before Taylor released “Sweet Baby James” — an album that went triple platinum. Taylor’s interview with Smith will also eventually be posted on the Library of Congress site. “Joe was of huge importance to me in the early days of my career. It takes me back to a time when record companies and their executives had a real connection with their artists and felt a responsibility to us,” said Taylor, in an e-mail. Ray Charles, Mick Jagger, Paul McCartney and George Harrison were interviewed by former DJ Joe Smith. Al Kooper, who founded Blood, Sweat & Tears, believes some of the history of rock ‘n’ roll has been incorrectly reported in articles and books, and said the collection could correct some of the inaccuracies. “It will be closer than before because it’s all first-hand,” said Kooper, who lives in Somerville. During his interview, Kooper detailed the studio recording of Dylan’s “Like a Rolling Stone,” where he had hoped to play guitar but deferred to Mike Bloomfield. During a break, he hopped in front of an organ, played along, and then listened along during the playback when Dylan told the engineer to turn up the organ. The collection grew out of a promise Smith made to John Hammond, the record producer who helped fine-tune everyone from Benny Goodman to Dylan and Bruce Springsteen. Ailing, and in his hospital bed, Hammond insisted that Smith — a music insider whose friendships ran from Frank Sinatra to Frank Zappa — visit artists and supergroups and hear their stories. Smith accepted the mission. Armed with a cassette recorder and a microphone, he traveled throughout the United States and Europe in search of the backstory to artists’ careers. “I was known and had no problem getting to anybody,” he said. Smith, who was once a Globe newsboy in Chelsea, said he corralled in the giants of the music business simply by making a phone call or two. He said he learned most of his early street smarts on Chelsea’s gritty streets. The son of an insurance salesman who moonlighted as a bookie, Smith went on to Yale, and worked in radio, becoming one of Boston’s first disc jockey’s to play rock ‘n’ roll. By the late 1950s, he wanted a new challenge and set out for Hollywood, where he made a name for himself by signing comedians like Allan Sherman before shifting to rock acts. Most of his interviews were done in person, lasted at least an hour, and often resulted in a confession, with the famous sounding more like regular working stiffs than carefully primped stars. 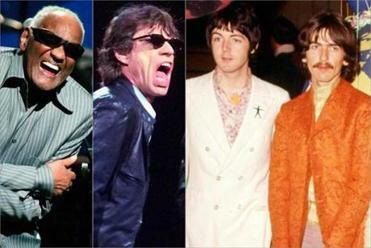 Jagger told Smith that the Rolling Stones hadn’t made a good record since 1972; McCartney acknowledged that his songs were not the same without John Lennon’s touch; Little Richard recalled feeling an “electric charge” run through his body after he first heard “Tutti Frutti” on the radio at his home in Georgia. “I got caught up in hearing these stories, and the importance of knowing all of these people — even if it was only for the two hours that I was with them,” said Smith. The interviews took two years to complete, and in the midst of his conversations with Streisand, Roger Daltrey, and Tina Turner, Smith became president of Capitol/EMI, where he stayed until retiring in 1993. In Beverly Hills, Ella Fitzgerald asked Smith to fix her stereo before the interview. In London, Van Morrison said he’d agree to an interview only if they met in a hotel lobby and was addressed by Smith as Mr. Johnson. Smith also got to meet some of his childhood idols, such as Artie Shaw, who told Smith he quit in the middle of his career because he was tired of playing the same songs every night. “I got to a place where they said, ‘Stop, don’t grow anymore,’ ” Shaw told Smith. There are other threads that help define the music, the era, and its overall impact on society. Some like Hart, the Grateful Dead drummer, said the tapes reveal a time when art met drugs and business and how the mediums learned to coexist. Hart also said it was an era when record executives had great patience with artists, who sometimes took years to record and mix an album. “That was a big part — nurturing, mentoring — because artists sometimes don’t appear unless they’re produced or manufactured, which you see today,” said Smith. Smith now spends most of his time with his wife and family. He used to go to Chelsea reunions but most of his friends have passed, and he now rarely gets back to his hometown. He said today’s music business is the antithesis of the industry he helped develop some 50 years ago. He said it would be unlikely that record companies would sign acts like The Grateful Dead, Neil Young, and Joni Mitchell if they were starting their careers today. To listen to the Joe Smith Collection, visit www.loc.gov on or after Nov. 28. Steven A. Rosenberg can be reached at srosenberg@globe. Follow him on Twitter @WriteRosenberg.